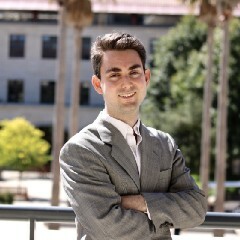 I recently finished my doctorates in management science & engineering and economics at Stanford University with a passion for areas of macro/labor/public economics and household finance. I graduated from the W. P. Carey School of Business at Arizona State University (Economics & Mathematics), earning the Spring 2012 Outstanding Graduating Senior for the Department of Economics and college-wide W. P. Carey School of Business, in addition to the Edward Rondthaler and McCord Scholars scholarships, among others. I now serve as an economist on the Council of Economic Advisers, a Digital Fellow at the MIT Sloan Initiative on the Digital Economy, a Non-Resident Fellow at the Harvard Kennedy School Cyber Security Project, and a Research Affiliate at the NYU Center for Urban Science and Policy. 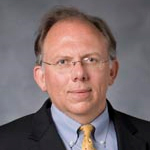 Keith G. Meador, MD, ThM, MPH, is Professor of Psychiatry and Behavioral Sciences and Professor of Health Policy at Vanderbilt University. He also serves as the Director of the Center for Biomedical Ethics and Society and on the Associate Faculty of the Graduate Department of Religion at Vanderbilt. He is the Director of Mental Health and Chaplaincy through the VISN 6 MIRECC as part of a national initiative to foster integration of chaplaincy services into mental health care within the Department of Veterans Affairs. 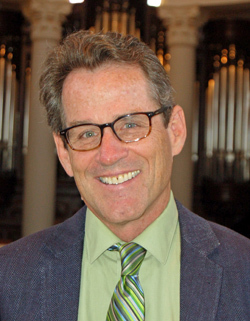 He joined the faculty at Vanderbilt in July of 2010 and previously served as Professor of Psychiatry and Behavioral Sciences at Duke University where he gave direction to centers in the Medical Center and Divinity School focused on the intersections of religion, theology, and health. 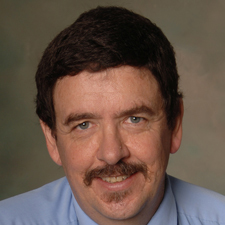 He is a physician and board certified psychiatrist with training in geriatric psychiatry, theology, and public health. Dr. Meador is a Phi Beta Kappa graduate of Vanderbilt University and received his medical degree from the University of Louisville. He completed his residency in psychiatry and fellowship in geriatric psychiatry at Duke University. His theological education leading to the ThM was at Duke Divinity School and he received his MPH in Epidemiology from the University of North Carolina – Chapel Hill. 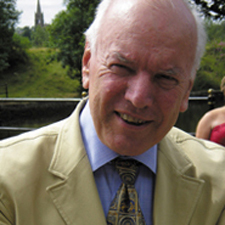 His scholarship builds on his clinical, research and teaching background in mental health, practical theology, and public health about which he lectures widely and has published numerous publications including the co-authored book, Heal Thyself: Spirituality, Medicine, and the Distortion of Christianity. His academic work includes theological and conceptual exploration of the intersections of religion and health and empirical research regarding socio-cultural determinants of illness, health and human flourishing. 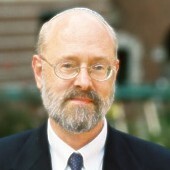 Alan Mittleman is the Aaron Rabinowitz and Simon H. Rifkind Professor of Jewish Philosophy at the Jewish Theological Seminary. He is the author, most recently, of Human Nature and Jewish Thought: Judaism’s Case for Why Persons Matter (Princeton University Press, 2015). His current project, also for Princeton University Press, is Holiness and Violence in Judaism: A Philosophical Investigation. Dr. Mittleman is the author of five other books: Between Kant and Kabbalah (SUNY Press, 1990), The Politics of Torah (SUNY Press, 1996), The Scepter Shall Not Depart From Judah (Lexington Books, 2000) Hope in a Democratic Age (Oxford University Press, 2009) and A Short History of Jewish Ethics (Wiley-Blackwell, 2012). 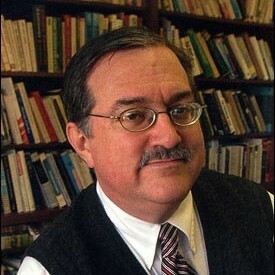 He is also the editor of Uneasy Allies: Evangelical and Jewish Relations (Lexington Books, 2007), Jewish Polity and American Civil Society (Rowman & Littlefield, 2002), Jews and the American Public Square (Rowman & Littlefield, 2002), and Religion as a Public Good (Rowman & Littlefield, 2003). He is currently editing Holiness in Jewish Thought (Oxford University Press, forthcoming). His many articles, essays, and reviews have appeared in such journals as Harvard Theological Review, Modern Judaism, the Jewish Political Studies Review, the Journal of Religion, and First Things. He is a contributor to The Cambridge Companion to American Judaism. After spending six years on the faculty at the University of North Carolina at Chapel Hill, in July 2013, Dr. Mooney joined the Department of Sociology at Yale University as an Associate Research Scientist. As part of a funded research grant from the John Templeton Foundation, she recently interviewed young adults in 10 different states across the U.S. who have undergone traumatic life events. Through their personal narratives, she explored the importance of relationships and communities to fostering human flourishing following traumatic events. She is interested in the types of cultural narratives and social structures that empower people who suffer to nonetheless to realize their freedom in accord with human dignity. 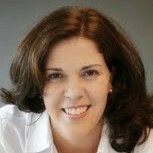 Margarita A. Mooney is a Faculty Fellow in the Carolina Population Center at the University of North Carolina. She received her Ph.D. in Sociology from Princeton University in 2005, and her M.A. in Sociology from Princeton in 2000, with her B.A. in Psychology from Yale University in 1995. In addition to numerous scholarly articles, her book, Faith Makes Us Live: Surviving and Thriving in the Haitian Diaspora, was published in 2009 by the University of California Press. Born in Ireland, she graduated from Auburn University with a BA in French and Philosophy, and studied at the École normale supérieure de lettres et sciences humaines in Lyon before getting her MA and PhD from Princeton University. Murray is also a graduate of the UCLA professional program in screenwriting. Her research has focused on the art of storytelling and the importance of story in shaping culture, beginning with the birth and explosion of vernacular storytelling in the Middle Ages, and spanning modern film and the VR and immersive experiences of the 21st century. This led to her 2014 TEDx on storytelling in San Antonio (viewed over 230,000 times: https://www.youtube.com/watch?v=BrtTyEmDLKQ) and a second TEDx in Santa Cruz on storytelling ethics, entitled “Write and Wrong” (https://www.youtube.com/watch?v=l_iQ-NSwgMM). In 2011, she was awarded a major grant from the National Endowment of the Humanities (NEH) to translate the Ovide moralisé, an important cultural story of the Middle Ages. Murray is also the co-chair of the Working group on Film, Media & Storytelling for the Nexus Global Youth Summit and a member of Summit Series. 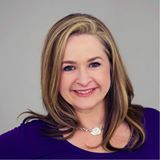 She covers social entrepreneurship and innovative ideas for Conscious Company Media (https://consciouscompanymedia.com/author/sj-murray/).